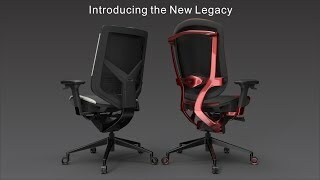 More links for "Gaming Series Triigger Line 275 Gaming Chair Black/Red Edition"
Expensive, but you can feel it! Chair arrived today and built in less than 5 minutes. Yes, 5 minutes. Absolutely tool less, simply put the castors on the spider frame then put the gas lift in and the chair on top of that. No screws, bolts or anything. Was great. The chair is really comfy. Only been on it for 5 hours but considering the chair i was using before I couldn't last more than 30 mins in without being in pain says a lot. Adjustable features and the triggers themselves are great, i still feel myself reaching under the seat to adjust from habit haha. But the back support is also good considering you don't get as much as the 350 but you can feel it and is supportive. You can smell the cow too from the leather detailing, and although I wasn't keen on the red choice, its quite a deep red so its not bright, more burgundy colored which makes it look classier. 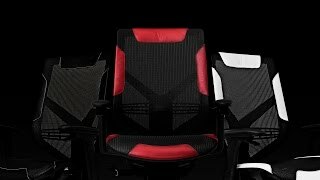 For a first day impression its great, and I hear the chair just gets better.Highly recommended.